Since 1966, when they pioneered the very first Caribbean cruise, Norwegian Cruise Line has been the industry leader for innovation. From the first cruise line private island to Blue Man Group to their award-winning Freestyle Cruising, they do things differently. Youll feel it with the passion and dedication of every team member you meet, youll see it in their commitment to the environment and youll know it when you experience the best cruise vacation youve ever had. 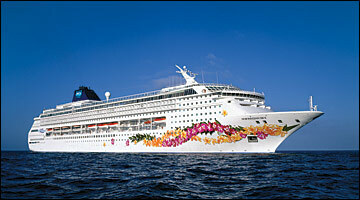 Freestyle Cruising is all about giving you the freedom of choice to have your style of vacation. Relax or be adventurous. Eat a burger or filet. Dress up or go casual. And never have a fixed schedule or restriction to slow you down. Its your holiday, so make sure its exactly what youve been daydreaming about. 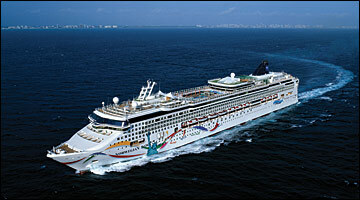 Youll find their fleet of new ships have everything you need to have your perfect cruise holiday. When you sail with Norwegian Cruise Line, you are cruising on the youngest, most innovative, most accommodating fleet among North American cruise lines. Their award-winning fleet was built for Freestyle Cruising, designed to give you freedom and flexibility. Choose your ship, choose your destination and step onboard for the perfect holiday. 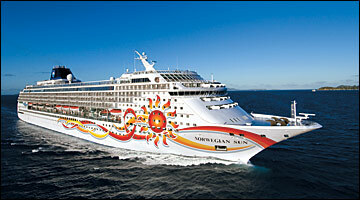 The world of Norwegian Cruise Line has something for everyone. Find adventure in Alaska. Golf in Hawaii. Dive a shipwreck in the Caribbean. Shop in Italy. Or just look good on the French Riviera. 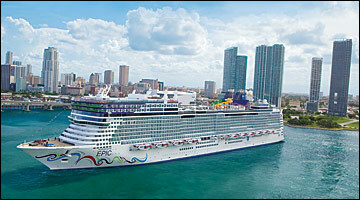 Theres definitely a cruise thats perfect for you and yours. Come aboard their fleet of ships and let them show you what Freestyle Cruising is all about.